Readers of this blog know we try to keep to the lighter side of life with parents who have dementia but what we have been dealing with recently may provide some helpful lessons for others in similar situations. If you would like to keep to the lighter stories please skip this post because it is on a more serious subject and, full disclosure, expresses some political views. So that’s the warning, here is the story. As mentioned in For the love of Violet, the suggested solution to Dad’s attraction to another resident and their public displays of passion was to prescribe dad with antipsychotic drugs. They felt the drugs would calm him down and reduce both the passion (or the disinhibited displays of passion) and also the minor aggression displayed when he was ‘told off’ about his behaviour. Dad was on the drug for exactly a week when his whole mind and body collapsed. He could not answer questions, there were extended silences, like his brain had gone off line and was whirling. A bit like that circle you get on a computer screen when it is very slow in processing. On many occasions by the time dad’s brain came back on line he had forgotten the question. That was scary enough but he also lost all muscle capacity too. By the time he had been taking the antipsychotic for 8 days he couldn’t even sit up properly in a chair let alone walk, stand or bear his own weight. Both the GP and Older People’s Mental Health said it was just the result of his dementia going to the next stage and it was a coincidence that he had recently been prescribed antipsychotic drugs! The manager at the home must have thought the Gods were looking down on her because it gave her the perfect excuse to say that they definitely could no longer meet dads care needs as he would now need Nursing Care rather than a Care Home. It also drew attention away from their failure to put proper safe guarding in place. However, we insisted the drug was stopped as we started in earnest to look for a Nursing Home. Amazingly, within a week dad was beginning to get some mental capacity back and within 10 days his physical capacity was beginning to return. We moved him anyway! No amount of discussions with the medical people would get them to even consider that the drugs might have been the issue and they had zero explanation as to why he recovered once he came off them except to suggest that perhaps it had all been caused by constipation! At the exact same time we were dealing with dad’s situation we had a similar issue going on with mum. She has always had hallucinations, (we may have called them delusions in past posts but it seems that is the wrong term). Mostly the people she sees are benign and even became her friends. See Mary of the Mirror but over one night Mum suddenly became very agitated three days after being put on a new drug. She was wandering the corridors of the block of flats ringing door bells at 3 am in the morning. You can imagine the other resident were not happy! After my sister insisting it was too much of a coincidence, the doctor stopped the new drug and instead put her on several different antipsychotics which either did nothing at all or made her into a complete zombie. In the end after she had a total breakdown in front of the Old Peoples Mental Health consultant they Sectioned her under the Mental Health Act (more of the story leading up to that event, coming soon). 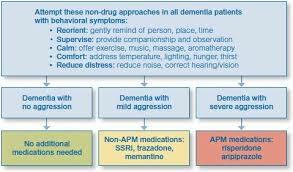 No doctor has ever been able to diagnose what type of dementia mum has and all antipsychotic drugs have horrid side effects. As such we asked the hospital consultant if mum could have at least two weeks of non-drug watchful waiting as poor mum had tried so many different drugs that her mind and body was probably in a state of total confusion. They initially agreed but within 10 days they insisted on drugs again. Mum did however calm down although the doctor says it can’t be as a result of this latest drug they are trying because it hasn’t had time to have an effect yet. The internet advice from The Alzheimer’s Society says these step down episodes often last 4 weeks and then change again. So maybe the short period of watchful waiting did have a positive impact. Now the doctor has said that the hospital environment is no longer suitable for poor mum as they have recently admitted a number of high demand patients who scream and cry, night and day. The doctor rightly says the environment is now probably adding to her anxiety rather than solving it. One thing everyone agrees on is that mum cannot go back to her flat. She now lives entirely in another world (more on that to come). The doctors can give no explanation for the massive drop in capacity which literally happened overnight. But as they also have no real diagnoses, I guess that’s not really a surprise! Expect to be subtly (or not so subtly) bullied into accepting drugs for your loved ones, in our experience these are usually antipsychotics. 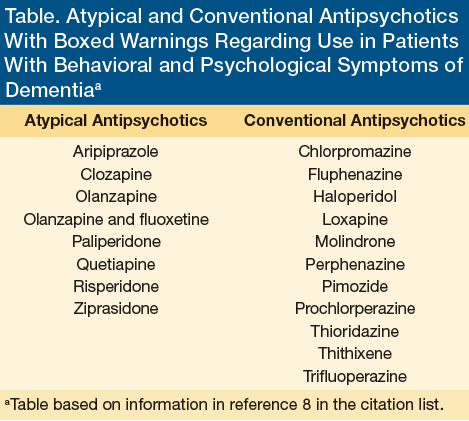 Antipsychotics can have massive side effects and the majority of them are not licenced to treat dementia. Educate yourself before discussing options with the medical team. The Alzheimer’s Society is a mine of information – see here for their advice on Antipsychotic Drugs. If the government really is going to spend £300 million on dementia we hope they do so in consultation with people like the Alzheimer’s Society and not the drug manufacturers! 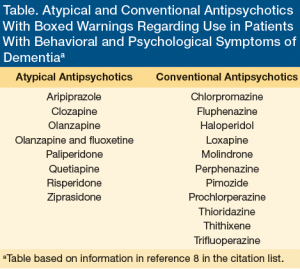 Be sure you have a clear diagnoses as to what type of dementia you are dealing with before agreeing to antipsychotics – for example, antipsychotics are not advisable for people with Lewy Bodies Dementia. Have alternative suggestions ready. There was a recent report saying that nearly 50% of people are on prescription drugs and the NHS are spending too much on drugs rather than other treatments. I must say we totally agree. It seems the medical world very rarely offer alternative solutions. Be prepared to be subtly threatened with withdrawal of support when you resist the application of drugs. Every time we meet with the medical professionals they look down their noses and say things like, “We understand you are anti drugs”. Well yes, we are when the advice from the manufacturers and NICE is not to give them to people with dementia and when some of the side effects are about exacerbating heart problems which both our parents have! Reasoning with a Dementia sufferer… Good luck! To drive or not to drive? Is it possible to reverse Dementia? Keep up to date with our Latest News! Fifty Shades of Dementia – Keeping your sense of humour… Copyright © 2019.